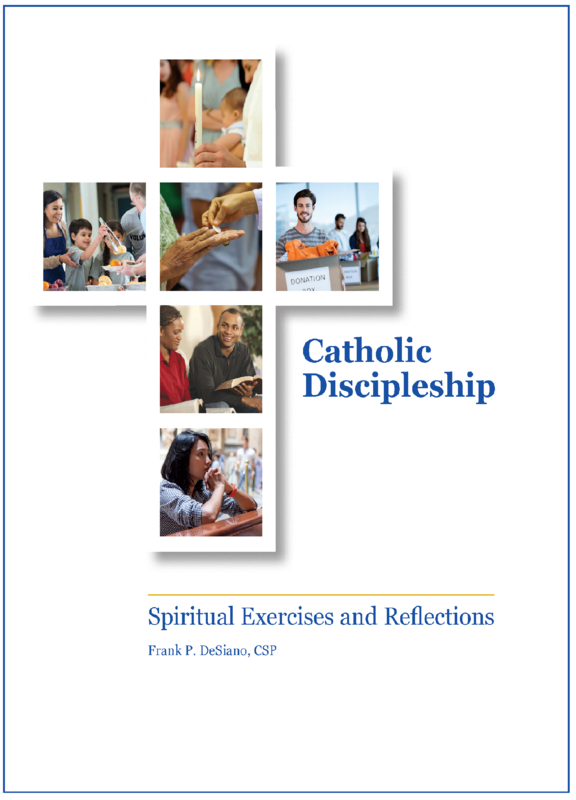 Catholic Discipleship: Spiritual Exercises and Reflections features twelve units focusing on the fundamental dimensions of what it means to be a disciple in today’s world. Each unit features a Spiritual Exercise which includes Scripture and questions for reflection and discussion. Catholic Discipleship is a new resource for parishes and individuals who want to explore their identity as missionary disciples and can be used by individuals looking to deepen their own connection to Christ, or by parishes looking for small group faith formation or a parish-wide renewal. Click here to view a sample of one of the units. We also offer resources for those looking to organize a small group or Adult Faith Formation class based on Catholic Discipleship. Aprende más sobre la versión en español aquí. Fr. Frank DeSiano offers insights and exercises for Catholics, leading us to take to heart the call to grow in holiness and as followers of Jesus. I especially appreciate the accessible tone and the exercises in Catholic Discipleship. Readers are sure to find it a wonderful experience of reflection and a springboard for encounter and conversion toward a deeper, more committed life as a disciple of Jesus Christ. Just what I’ve been looking for! Easy to read, yet profound in so many ways. A wonderful “gift” for me but also one that needs to be shared. The spiritual exercises for Catholic discipleship contained in this book are opportunities for persons individually or in a group setting to listen to where God is calling them on their journey from and back to God—offering openings in their lives for contemplation, conversion and action. I highly recommend this book to be experienced first personally, then distributed broadly, sharing it with those on the path of missionary discipleship in parishes, schools, or organizations.